Luckily for everyone, what is considered “proper” in regards to etiquette has relaxed quite a bit in the past 20 years, making it less stressful for brides and grooms to say “thank you.” There are some basic rules that still apply. The acceptable time frame for your guests to receive your thank you card is three months. If you find yourself falling behind, perhaps consider calling those who sent gifts to assure them the package did arrive; then follow up with a written note as soon as you can. It’s actually well advised to send your thank you notes well before that timeframe, so that your gift givers and people who made this day possible receive the appreciation for their thoughtfulness in a timely manner. You cannot send a text message this time. Same goes for e-cards. There’s still something so special about receiving personal notes via snail mail-and this holds true for wedding thank you notes as well. You will need to send a written thank you note to show your true appreciation. Postcard or card and envelopes? Both will be fine according to standard etiquette. Just showing that you’ve taken the time to select a card and hand write your note to the recipient is really all that matters. All wedding vendors, musicians, florists, wedding planners, etc. 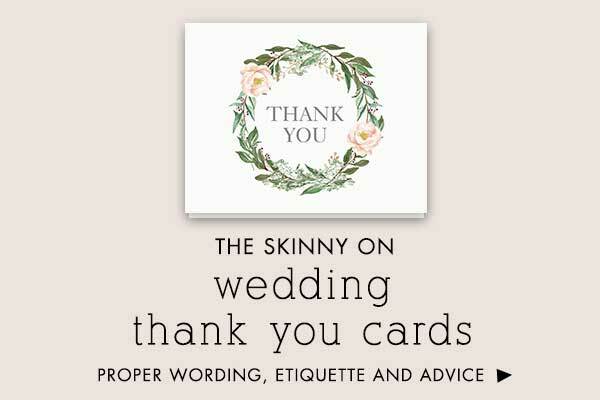 Wedding Thank You Cards Wording and Etiquette: HOW DO I WORD THE CARDS? Thank you so much for the absolutely wonderful glassware. We are now ready to celebrate with friends and family! We look forward to having you over for dinner so you can see the glasses put to good use. Thank you from the bottom of our hearts and look forward to seeing you soon. Chuck and I wanted to thank you for the check you sent as a wedding gift. We are saving to go on our honeymoon and we’re excited to put this towards reaching that dream. Thank you for bringing so much love, joy, and happiness to our special day. What an amazing wedding present you selected for us! Of all the gifts we’ve received from family and friends, yours is one of our absolute favorites. As we unwrapped it we were smiling from ear to ear. We definitely feel spoiled by your generosity. Your gift is one of those very special items that we will be able to use and enjoy for years to come! Thank you so much for attending our wedding! It was such a delight to see you after all these years. We wanted to take a moment to send you the warmest well wishes and let you know how happy we were to see you there. We would like to express our gratitude for celebrating in our love, joy, and happiness. We are so sorry you weren’t able to make it to our wedding. It was a wonderful day, and you were missed. We wanted to make sure we let you know how much we love your gift, and we thank you for sending it. You brought joy to our day, warmth to our lives and happiness to our hearts. The memories you helped to create from our wedding day will always be treasured and we cannot tell you how much your ________ added to the day. It would not have been complete without you. Thank you for continually working with us and helping us create personalized touches, an amazing day, and truly unforgettable memories. I can’t express how grateful I am for the beautiful shower you planned, organized and hosted. It was a perfect day, and none of it would have been possible without you. Spending time with you on my special day was the best gift I could ever receive. Your warmth and generosity will be with me always. Days are counting until the wedding day and I cannot wait to have you by my side. Thanks for being such a huge part in this extraordinary journey. I love you! 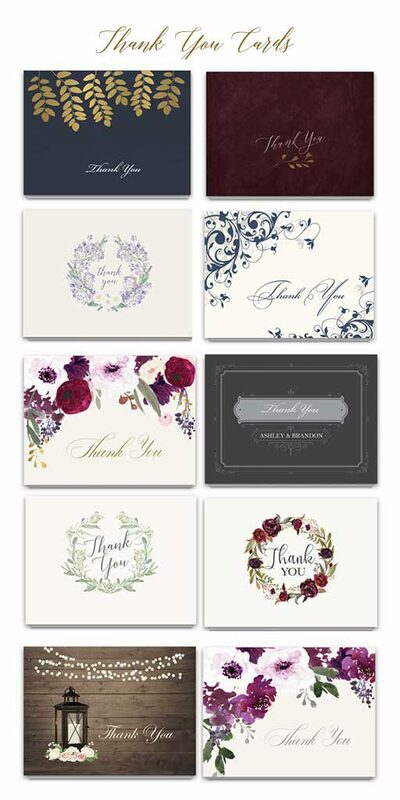 Wedding Thank You Cards Wording and Etiquette: Some beautiful thank you cards to get you started!